Travelers can find great weekend packages throughout the year, even around the holidays. Be sure to check the web site of the resort you are interested in and browse their current specials. Another good resource is Twitter where you can often find great last minute deals from individual hotels or from online travel agencies. Here are some great weekend packages sorted by interest. You will find amazing beach weekend offers, luxury, affordable and more. Step into an ethereal world at Terranea just a short drive from Los Angeles. The Romance Package offered by this resort is a perfect way to celebrate a special occasion. Set on a 102 acre private peninsula, the resort is a relaxing escape from the city. Overnight accommodations offerbreathtaking views of the ocean. Enjoy sparkling wine and strawberries overlooking the Mediterranean architecture that is reflected in the gardens and private terraces. A rose petal bath and breakfast for two are part of this package. Show more unique weekend getaways near me: from NYC, from LA, from New Orleans and more. Hyatt Regency Monterey guests are treated to a serene and comfortable setting. Located along the coast of California, it is close to museums like the Maritime Museum of Monterey, and the Stanton Center. The resort offers the Romance Package for couples to rediscover and strengthen their love at this classic and unforgettable location. Stay in a contemporary room that has been aesthetically furnished. Get pampered with champagne that is served with chocolates and strawberries and indulge in Full Breakfast for two. Guests could also check out late at 2pm, subject to availability. The historic Thayer Hotel is located in the Hudson Valley next to the Military Academy in New York State. The property is conveniently located near Michie Stadium, the West Point Museum and the Garrison Art Center. The Thayer Hotel is a relaxing weekend idea from New York City and offers a selection of travel deals. The “Shop and Stay Package” includes: overnight accommodations for two; a Woodbury Common discount coupon booklet; a $10 Woodbury Starbucks gift card and a gift tote bag. Sea Island is located next to the Southern Georgian coast, a picturesque terrain that offers opportunities to go kayaking in the open sea, fishing, and horseback riding. The Romance Package includes luxurious accommodations for two nights at The Cloister or at The Lodge, and a complimentary bottle of sparkling wine on arrival. Breakfast will be delivered to the room, and includes a $100 credit per person dinner coupon at any Sea Island restaurant. Guests can indulge in a 90 minute Couples Massage for two in the signature Together Suite at The Cloister Spa. This package offers a one rose petal turndown. Marco Beach Ocean Resort is an extraordinary resort in Florida. Their Honeymoon Hideaway Package offers an all-inclusive one bedroom suite, though guests are required to stay a minimum of 3 nights. The package offers a full American breakfast each day and dinner at Sale e Pepe. Guests are pampered with one couple's massage and a complimentary smoothie on the beach daily at 3 p.m. Included is the use of beach chairs, towels and umbrellas. Guests are treated to champagne and strawberries with chocolate, maid service twice a day and a nightly turndown service. The package offers valet parking, unlimited access to the fitness center, steam and sauna room. Salamander Resort & Spa is a beautiful resort with miles of trails and outstanding amenities. Located in Middleburg, Virginia, the resort offers the Night of Romance package, the perfect getaway for two. The package includes a two night stay in a luxurious romantic room and a welcome kit of Sparkling wine and chocolates. A $100 resort credit per night can be enjoyed by guests at Harriman’s for a romantic dinner or other romantic add-ons like a couples’ massages, couples’ spa treatment, a romantic horse carriage ride, rose-petal turndown, an art classes or a zip tour. JW Marriott Marquis Miami is a sophisticated hotel in Downtown Miami. This modern and luxurious hotel seeks to pamper guests and they are offering the Perfect Romance Package to celebrate your love. Guests can indulge in chocolate covered strawberries and chilled Veuve Cliquot champagne after check-in. Included is luxurious accommodations in a deluxe bay view guest room that overlooks Biscayne Bay or the Magic City. Guests can relax over a scrumptious breakfast for two in the comfort of their room and later order a mimosa cocktail or a Bellini. The package also offers overnight parking for one car. Rates range from $359-$699 per night, per room, taxes are extra. Ojai Valley Inn & Spa is a beautiful resort with spectacular natural surroundings. Located in California, it is one of the finest resorts in the U.S. The resort is offering the Unlimited Golf for Two Package which includes accommodations in an aesthetically decorated room for two nights. Lunch for two is served each day at Jimmy’s Pub; guests can order two entrees, non-alcoholic beverages for a value of $60, taxes and gratuity included. Avid golf players can enjoy unlimited golf for two; guests can play on the day of arrival and on the day of checkout, or an unlimited round. The Fairmont Scottsdale Princess is a luxurious scenic resort in Scottsdale, Arizona. Panoramic views of vast landscapes, cacti and the orange hues of the setting sun will energize you on vacation. They are offering the Sip, Savor & Sunset Package which includes accommodations in a luxurious room and a $100 food and beverage credit at any of this resort’s restaurants each day. Guests will also receive a complimentary one day pass to the Well & Being Spa. The resort has six pools, two 18-hole championship golf courses and several other indoor and outdoor activities. LaPlaya Beach & Golf Resort is a luxurious hideaway in South Florida. This exceptional resort is one of the best in the area and is a perfect destination for a spa or golf vacation. LaPlaya is offering the Summer Golf Package exclusively for its guests and members. Guests receive one round of golf each at LaPlaya Golf Course. Included is a daily resort credit of $25 and one dozen golf balls. A round of golf for the second guest can be purchased for an additional $10 per night, taxes extra. Hard Rock Hotel Universal Orlando is a perfect family retreat in Orlando, Florida. The resort has a spectacular pool with an underwater sound system and a 260 foot pool slide that is sure to entertain the whole family. Guests have easy access to the beach, theme parks and amenities like cabanas and fitness center. Lowes offers the Seasonal Bed and Breakfast Package in which guests receive luxuriously accommodations in a comfortable room at Hard Rock Hotel. Guests can enjoy a leisure breakfast for two at The Kitchen each morning. Rates start from $218 per night. Loews Coronado Bay Resort is a tranquil resort set in a 15 acre peninsula with spectaculars views of the San Diego skyline. The resort is offering the Sail Away Together package which includes two hours of private sailing for a couple and a complimentary bottle of wine or sparkling cider. Relax and enjoy a leisure sail with panoramic views of the Coronado Bay Bridge and the horizon. Guests can hike along several miles of trails, relax in the three heated pools or visit Sea Spa that offers signature therapies. The Crawford Hotel is a luxurious hotel in downtown Denver. Guests can turn their date night into a night of celebration as the hotel combines the historic Denver Union Station charm with a choice of great restaurants. The Crawford Hotel offers The Denver Date Night which includescomplimentary valet parking worth $39 , two complimentary signature cocktails and one appetizer at The Cooper Lounge worth $60. For an extra $60, guests can get a free upgrade, based on availability. The Sonnenalp Spa is a wonderful way to rejuvenate your body and mind. The spa retreat package offers Junior Suite accommodations, a 50-minute treatment per person during your stay, and eligibility to receive an extra 25% off on other spa services, and a minimum of 15% off on spa retail products. Visitors are also given a complimentary breakfast and a 5-minute oxygen bar session. Relax at the whirlpools that have picturesque views of the Gore Creek, or unwind beside the Tranquility Pool with the mesmerizing waterfall and riverfront sun deck. The Ritz-Carlton Orlando is a magical destination in Florida. The resort is inspired by the breathtaking palazzos of Italy. Tranquil gardens, beautiful cabanas by the pool and golf will pamper guests. The resort is offering the Rejuvenate You Package. Included is a spa treatment for two, guests have the choice of a 50 minute signature massage, an 80 minute Florida fresh manicure and pedicure combo or a 50 minute signature organic facial. Guests receive overnight deluxe accommodations, $25 resort credit every night and valet parking. Packages start from $549 per night, per room on double or single occupancy. Taxes are extra. 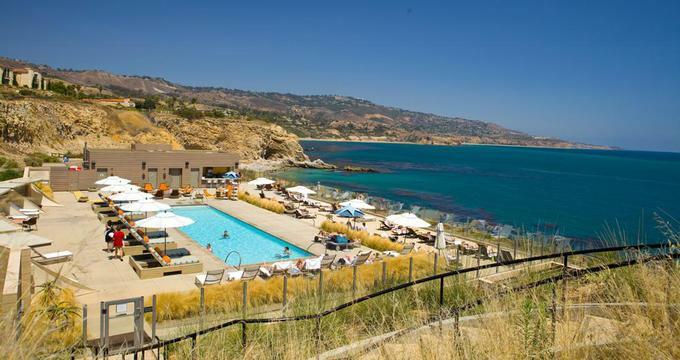 A member of the exclusive Preferred Boutique Hotels, Dolphin Bay Resort & Spa is located in Pismo Beach between San Francisco and Los Angeles. The Unwind Spa Package offers a two night stay in a comfortable suite for double occupancy, and one luxurious spa treatment from The Spa at Dolphin Bay per guest each day. Lunch is also included in this package. Guests can have either the 60 minute Swedish massage, 60 minutes facial, or the spa pedicure or manicure. The package begins at $600 per night. Sycamore Mineral Springs is famous for its mineral springs; it is located in San Luis Obispo County near Avila Beach in California. The resort offers exceptional spa treatments and other recreational activities. Recipient of many prestigious awards, their spa treatments are known to relax, rejuvenate and heal. The resort offers The Sycamore’s Spa Essence Package that includes overnight accommodations of the guest’s choice with a mineral water hot tub in most rooms. Guests can enjoy one 60 minute spa treatment and a $30 complimentary dining credit. The Carolina Hotel at Pinehurst, North Carolina is often called the “Queen of the South.” The property is offering the Girl’s Spa Weekend package from March 11-13. This package costs $395 per person for 3 days and 2 nights. Guests can enjoy a grand breakfast buffet each morning and absorb the history of this region with a walking tour of the village of Pinehurst. Indulge in a therapeutic 50 minutes spa treatment and participate in a yoga class. Guests also receive a culinary class with a Pinehurst chef. Other compliments of this package include a spa gift, 35% off other spa services and purchases in the boutique. The Westin St. Francis offers comfort and elegance right in the center of San Francisco. The Westin Weekend Escape Package offers tempting deals that will entice you to take a break and unwind. The serene room with all the amenities, a two drink voucher to Caruso’s, complimentary HSIA and a late checkout of 3 pm add to the joy of this package. The cable car stops right outside the hotel’s doors, take a ride and indulge in shopping, catch a show at the theatre, relax at the fine dining restaurants or visit Chinatown. The Waldorf Astoria at Orlando is at the perfect location for a family vacation. It is close to Orlando’s theme parks, museums and other attractions. The Best of Waldorf package offers guests a $100 resort credit that can be claimed at restaurants, Waldorf Astoria Spa, or at Waldorf Astoria Golf Club. A minimum 2 night stay is required. Guests that stay longer than two nights also receive a $50 resort credit per night. Deluxe guest room is luxurious with premium bedding and housekeeping services are offered twice daily. Casa Marina is a spectacular resort in Florida for the whole family. With the biggest private beach on Key West, there are numerous activities for everyone. Guests can spend the day relaxing on the beach or they can scuba dive, snorkel, kayak or charter a boat for a deep-sea fishing expedition. The Family Fun Package offered by Casa Marina is savings for the whole family. The package offers daily breakfast for two adults and two children, if the stay is three nights or longer. Included is high-speed Internet access. Rooms start from $391. Located in the middle of the Florida Keys on the scenic island of Duck Key, Hawks Cay resort is a picturesque holiday destination. This resort is near the Marathon Turtle Hospital, and the Seven-Mile Bridge. Hawk Cay offers the Girls Getaway Package which include two 50 minute indulgence at the luxurious Calm Water Spa, a 10% discount on additional spa services and 50% off all fitness classes. With unlimited access to the Tropical Lagoon, guests can just relax on the sand, swim, kayak and paddleboard. Play golf at the best golf courses in the country and enjoy a relaxing signature spa treatment at Terranea. With the Golf & Spa Relaxation Getaway, visitors receive a two night stay at the Bungalows at Terranea, and can enjoy one round of golf for two at The Links at Terranea, one round of golf for two at Trump National Golf Club and two signature spa treatments at The Spa at Terranea. Packages begin at $985 per night, with 15% off on merchandise at both locations and visitors get 50% off on club rental at Trump National. A historic hotel, La Valencia offers an unforgettable holiday for guests and their pets. The VIP Pet Package includes a welcome tote bag, bottled water, lightweight foldable dog water dish, elegant leash, attachable dog bag dispenser, treats, La V Dog Tag ‘VIP’ collar accessory and a dining credit of $25 for the owner or the pet to dine al fresco. At the hotel, your pet has its own dog bed, water & food bowls. Sign up for a surf lesson with your pet or pamper your pet with a canine massage therapy. Rates begin at $350 per night (a $30 pet fee is included). The Regatta Inn is an inviting hotel located in Folly Beach that offers guests a warm and welcoming home-away-from-home stay. Nestled between the Folly River and the Atlantic Ocean, the Regatta Inn offers deluxe guest rooms, casual home-style dining, and beautiful sea views. Ten guest rooms are comfortably furnished with large beds, spacious living areas, gas fireplaces, and private porches. En-suite bathrooms feature jetted soaking tubs and walk-in rain showers, and room amenities include flat screen televisions, coffee-machines, and wireless Internet. Dining options abound at Folly Beach, and guests can choose from an array of restaurants that offer everything from fine dining and casual fare to fresh seafood and simple sandwiches. Located just a stone’s throw away from the beach, there are myriad things to see and do in the area, from beachcombing, surfing, fishing or visiting the of the Morris Island Lighthouse on the northeastern tip of the island. Located across from Emmet Park a block from the river, The Brice Hotel is a high-end boutique hotel in Savannah's charming historic downtown. Conveniently located for exploring the Southern city, this beautiful hotel is ideal for a romantic getaway for two. Chic, contemporary rooms feature ample living spaces, large beds, en suite bathrooms with soaking tubs, and private balconies with lovely city views. Modern amenities include flat-screen televisions, yoga mats, and free wireless Internet, and a complimentary wine hour each evening is the perfect way to unwind. A rustic Italian restaurant and bar are open for breakfast, lunch, and dinner, and guests can enjoy a range of on-site facilities such as an outdoor swimming pool and fitness center and special pet services if required. Skytop Lodge is a historic resort near the Poconos Mountains, Pennsylvania with an 18-hole golf course, beautiful trails, and pools. This resort is also a wonderful horseback riding destination. The Horseback Riding Package offers well trained horses that suit every skill level for the whole family. Explore the 5,500 acres of the property on horseback. This package offers luxurious room accommodations with breakfast each morning. Guests receive an hour of guided horseback ride each day. Children must be seven years of age to ride on the horse. La Farge Perry House is a delightful B&B in Newport, Rhode Island. The Cliff Walk Package gives an opportunity to explore the panoramic terrain around the property. The package includes: accommodations with complimentary valet parking, or a complimentary pick and drop service from The Chanler, and a made to order breakfast.. Guests can explore the popular Cliff Walk that takes the trail along the Atlantic Ocean. Relax over a two course lunch for two at The Chanler. Included are two tickets to tour The Breakers Mansion. The Cliff Walk Package starts at $359 per night. Lookaway Inn in SC is a historic Southern mansion from the 1800s. Beautiful rooms with spacious private baths and its signature grand verandas lead to beautiful manicured gardens. Guests can fish or swim in Lake Thumond and Savannah River, or explore the trails on a bike. Celebrate at Lookaway Package is a great way to toast to a special occasion in a magical setting. This package includes luxurious accommodations for one night and a complimentary wine on arrival. Guests receive a $50 gift voucher to a local restaurant and Continental breakfast each day. Cheeca Lodge & Spa is located in Islamorada, a beautiful destination in the Florida Keys. Turquoise blue waters and palm trees lining the beach make this a spectacular getaway. The resort is offering a Stay Longer and Play Package which includes a 3 nights stay and a $100 credit. The credit can be used for spa services, water sports, dining and other adventure sports. The package also offers an extra 10% discount on Signature Store and Spa items. Kingsmill Resort in Williamsburg, VA is a historic property that showcases a genuine ambiance of Southern hospitality. This resort is offering The Williamsburg Package which includes accommodations in a spacious one bedroom condo with a living room and a full kitchen. A grand breakfast each morning sets the pace for a day of activities like swimming in the indoor pool or working out in their gym. After 11am, guests get one hour of court time at the Tennis Club and an hour of biking to explore the trails. They also offer tickets to Colonial Williamsburg. Admission to Colonial Williamsburg is included (one day pass per guest). This package starts at $492 per couple for the weekend.